Today I’m deviating a tad (a lot) from the original topic, which should have been ‘Outrageous things I’ve done as a reader’ because honestly, I’m quite boring and not very outrageous. The most outrageous thing I could come up with was reading an entire day and sneaking reads during family gatherings. Not so outrageous, now is it? 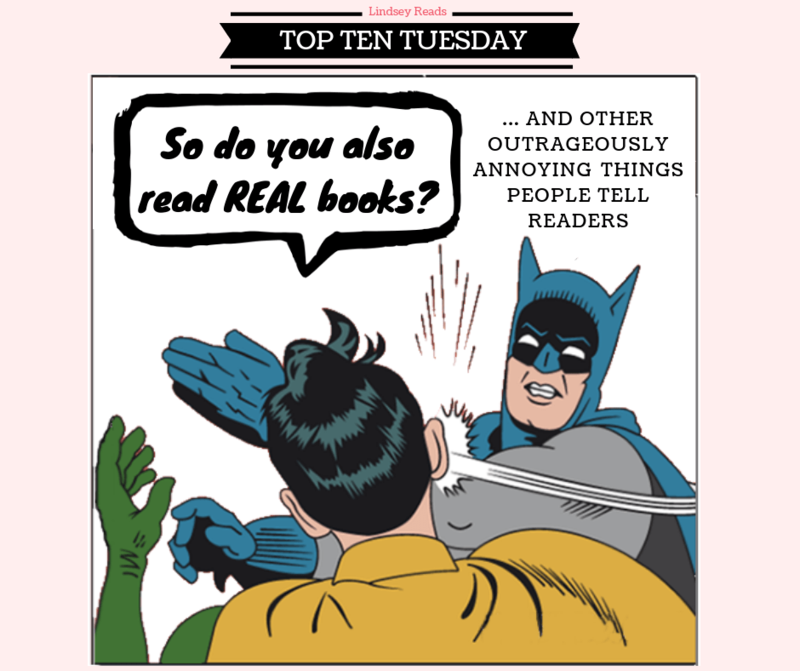 But then I thought about outrageous things other people have said to me as a reader. And to other readers. Because really, sometimes people can say really outrageously annoying things to readers. So that’s my post for today. Get ready for some annoyed rants and a lots of tea being served.